GraphQL, a data query language that provides an alternative to REST and ad-hoc webservice architectures, is the most revolutionary technology for data fetching since Ajax. Just as React has changed the way web developers approach UI, GraphQL will change the way web developers work with data over HTTP. This practical guide simplifies the process of getting started with this language. Alex Banks and Eve Porcello, software engineers/architects and instructors, start with an overview of graph theory to provide a solid understanding of the powerful graph data structure. You'll then learn about GraphQL types, as well as how to build a schema to describe your API. 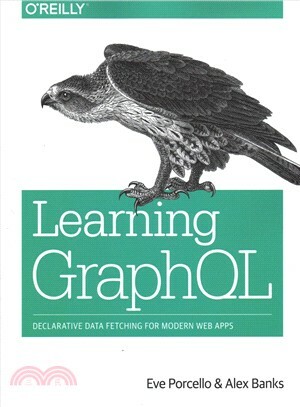 This book also includes an overview of Apollo and Relay, two popular frameworks that are used to connect GraphQL to your user interface.